In March I was looking at the springs in Redland that lead to Cranbrook, but I hadn’t realised that the Cranbrook leads down to The Arches, and that, according to the Big Blue Map of Bristol, it’s above ground around there. So two weeks ago, Tracy Homer and I went to have a look for it. My (mostly phone) photos are in my flickr album (if you mouse over/tap the photo below, you should be able to see a slideshow…) I have a film-ette and some sounds in the post below too. Where are the rivers and streams in Bristol? 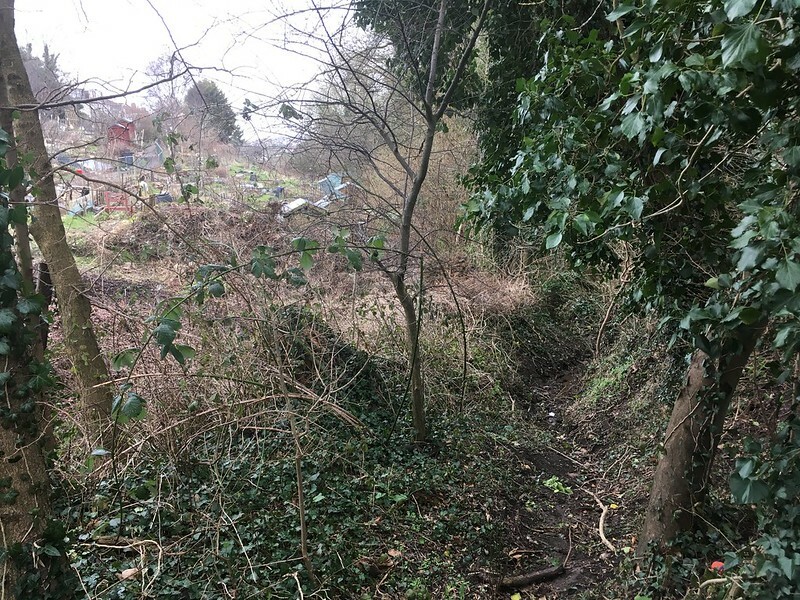 Yesterday I wanted to find out more about the Cranbrook, a little stream that’s only above ground for a couple of hundred metres in Redland, before I blogged about exploring it. I couldn’t find out much about it, though in a comment on flickr, iyers told me it once flooded the Arches area of Gloucester Road. Author Sarah ConnollyPosted on April 10, 2018 April 10, 2018 Categories UncategorizedTags brislington brook, bristol, conham vale stream, cranbrook, hazel brook, horfield brook, map, pigeonhouse stream, river Avon, river frome, river malago, river trym1 Comment on Where are the rivers and streams in Bristol? I’m getting really interested in the beginnings of rivers, and especially springs. 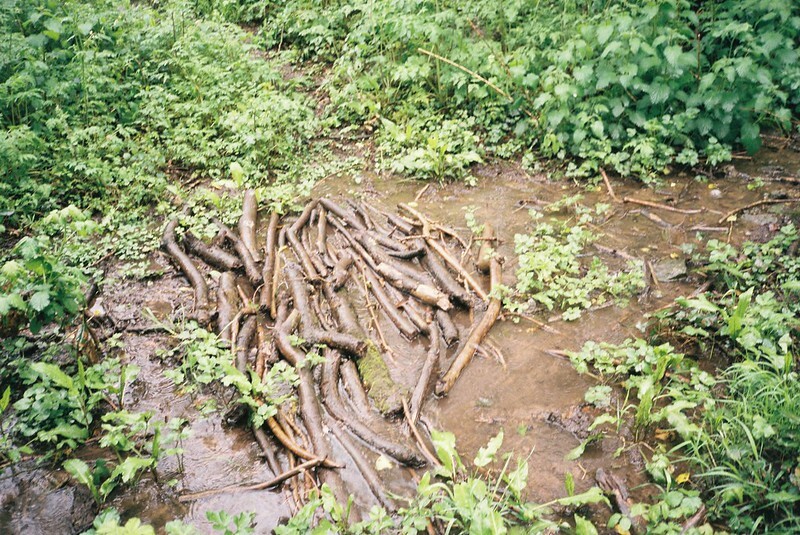 I’ve never really thought about them until recently, but when I did, I imagined them as something like the Source of the Malago, rather than the oozing of water that was the other Dundry stream source that I saw with Tracy when we were exploring the beginning of the Malago (and more!) back in February. 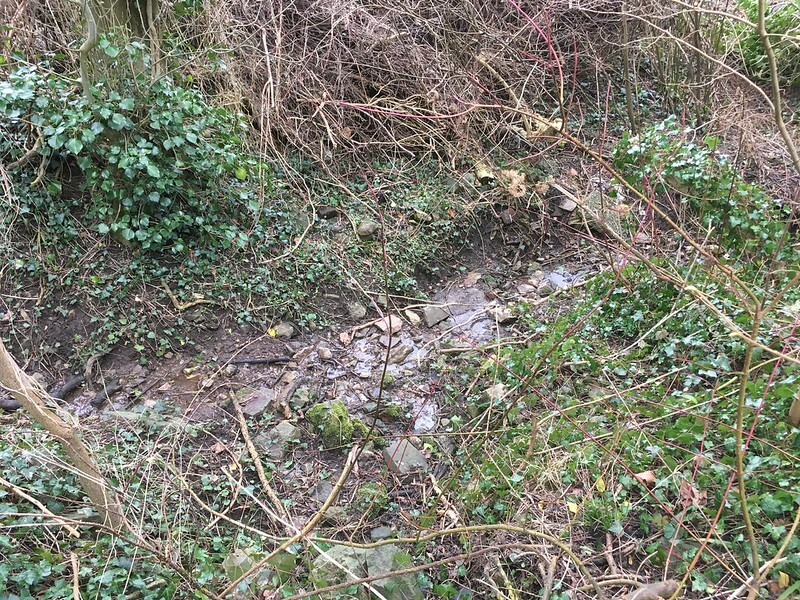 I’ve been doing a lot of pouring over my OS maps, looking at the sources of rivers, and looking for Bristol waterways, and last month I went walking through Redland, to see if I could find the Cranbrook, the little stream that starts out at Redland Green and disappears underground. These aren’t great photos – I’ve broken my film cameras, so was playing with my friend Cee’s camera, and some are mobile shots – but they’re like it looked, if that makes sense. Unfortunately, the stream itself is behind huge spiky fences, running along the bottom of the Redland Green Allotments, and although the snow had only melted the week before, it seemed pretty dry. But walking along the fence, looking to see if I could take some photos, I found a spring.